Doors to Elsewhere is an integrated drama group that meet weekly on Friday mornings. 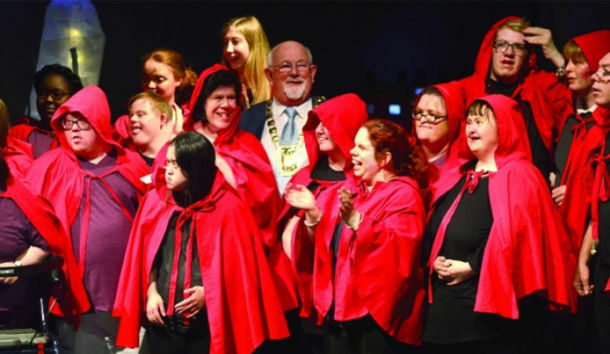 The group is comprised of adults living with disabilities living in South Dublin and is led by drama facilitators Jennifer Webster and Jenny Macdonald. Their work combines drama, dance, music and singing. Their performances are original, devised works collectively created by the participants. All of the artists perform, but they are also the writers, directors and designers of the work. Doors to Elsewhere is produced by Tallaght Community Arts. Can't See the Wood for the Trees Trailer. The show was preformed in Rua Red's Gallery 1 in January.